Are you on the lookout for a holiday destination which can offer you a remarkable experience? Do you wish to visit a place away from the chaos of city life? Still perplexed on the ideal tourist destination? Trust us, all you need to do is opt for a good tour package and visit Zuluk, the old silk route! For travellers looking for a quiet sojourn, Silk route can be the ideal destination. Located at an altitude of around 10,100 feet above the sea level in the eastern part of the Himalayas, Zuluk is in close proximity to the Indo-China border. A hamlet, surrounded by high hills, the top attraction of Zuluk is its striking zig-zag paths. It is its pristine scenic beauty and the rich historical background which makes Zuluk one of the most popular offbeat destinations among tourists! Keep reading to check out our comprehensive travel guide! 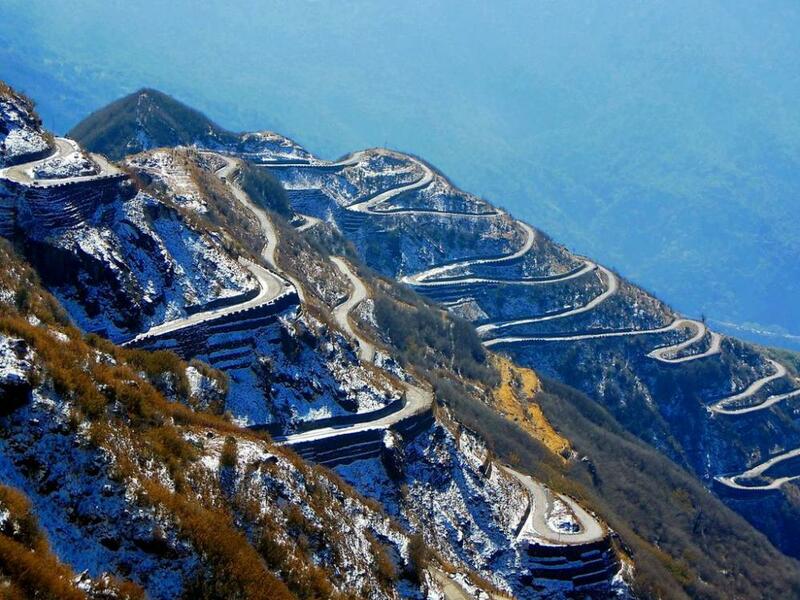 When To Opt For A Silk Route Tour Package? Though Zuluk and its nearby places are accessible throughout the year, tourists should keep it in mind that winters here are severe. During winters, Zuluk faces freezing temperature and high snowfall. Summer here is foggy and wet. Moreover, Zuluk and the surrounding hilly areas remain covered with various types of budding rhododendron flowers. How To Reach The Silk Route? The Silk route can be reached both via Kalimpong and Gangtok. Once you get down at the Bagdogra airport or the New Jalpaiguri (NJP) railway station, you can take a car to reach your destination. While it takes 2 hours from Kalimpong to reach Zuluk, it takes almost 4 hours from Gangtok. It is the transit point for travellers willing to visit the beautiful places of the Silk Route Tour package. A small village with a handful of dwellers, Zuluk is famous for its incomparable loops. The entire zig-zag path consists of approximately 30 loops. Situated at an altitude of approximately 11,200 feet, this can be your ideal place for watching the panoramic view of the zig-zag loop with the Zuluk village. It is even popular for its great sunrise views over the Kanchenjunga. Dedicated to the Nag Devta (Snake God), this is a cave like a structured temple. According to popular beliefs, the Nag Temple was formed naturally through a crack in the giant-sized rock. Situated near the Indo-China border, the Gnathang Valley is a small hamlet surrounded by high hills. Tourist can find a Durga temple, Buddhist monastery and a small British cemetery here. This is a war memorial which was built for commemorating the death of British soldiers who lost their lives in the battle of Tukla. Travellers need to pre-arrange a special permit before visiting Zuluk and the other places which fall under Sikkim during their trip. Tourists need to carry their photo ID proof and passport size photos to acquire the permission. Those approaching the Silk route from Kalimpong can get the permit from Rongli. However, tourists coming from Gangtok can acquire the same from the Sikkim Tourism Office at Gangtok. So what are you still waiting for? Find a reputed travel agency and book the best tour package within your budget. Time to visit the Silk Route!